MAUMEE, Ohio, June 1, 2018 /PRNewswire/ -- The Andersons, Inc. (Nasdaq: ANDE) announces it has appointed Brian A. Valentine as Senior Vice President and Chief Financial Officer, reporting to President and CEO Pat Bowe, effective August 1, 2018. "Brian is an engaging, operationally-focused and financially-disciplined leader," said Bowe. "He brings to The Andersons a wealth of knowledge and experience, from investing in and managing growth to leading business process improvement initiatives. I am excited to have him join our leadership team as CFO." Valentine has more than 20 years of senior management experience. His expertise encompasses corporate finance, treasury, public capital markets, accounting, tax and investment management. 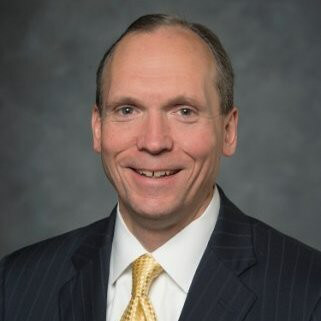 Since 2011, he has served as Corporate Vice President and Chief Financial Officer for The Lubrizol Corporation, a subsidiary of Berkshire Hathaway and provider of specialty chemicals to the transportation, industrial and consumer markets. Prior to this role, he held numerous financial leadership positions within the company while it was publicly traded, including Corporate Treasurer. Valentine received his bachelor's degree in business administration in accounting as well as his MBA from John Carroll University, Cleveland, Ohio. He is a certified public accountant licensed in the state of Ohio. He will be relocating to the Northwest Ohio area, with his wife and two children, in the near future.